Paper piecing the Judy Niemeyer way is a wonderful technique that enables you to sew even the smallest pieces of fabric together with ease and amazing accuracy. Cat Wilson, a Certified Quiltworx instructor, will teach you Judy's paper piecing technique and share her secret tips to success. 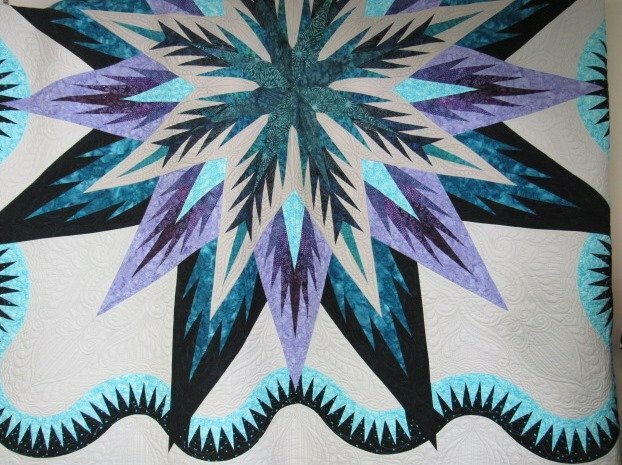 This on-going class is designed to introduce you to the paper piecing technique through more advanced techniques as you progress. Start any time and take as many classes as you would like to take. This class is offered on a monthly bases.